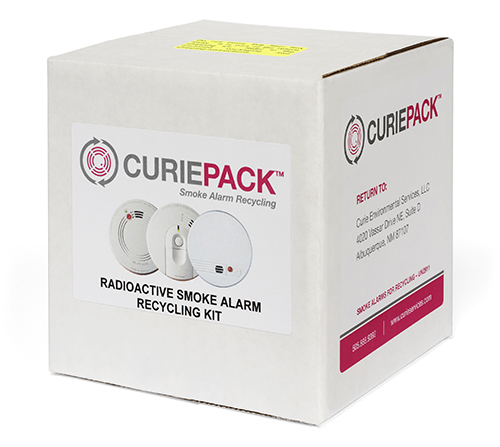 The CuriePackSM kit includes a 6” x 6” x 6” outer fiber box with an inner liner, packaging instructions, DOT markings, DOT function specific training acknowledgement, prepaid UPS ground shipping both ways and smoke alarm recycling. CuriePacksSM are designed for shipping ≤5 µCi Am-241 smoke alarms. The CuriePackSM is designed to qualify as a DOT strong tight package for shipping as: UN2911, Radioactive materials - excepted package, articles, 7. The kit capacity is for approximately 4 to 5 intact smoke alarms and is ideal for homeowners and small businesses. 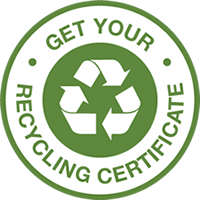 A certificate of transfer and recycling will be provided after receipt and processing of the smoke alarms upon request. Pricing is for any location in the lower 48 United States.